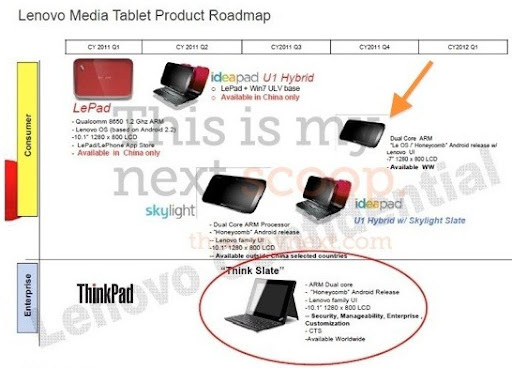 Lenovo ThinkSlate - Specifications, Photo Leaked! Now, THIS is what you call a business slate! Supposedly coming out in Q3 of this year, 'Think Slate' is Honeycomb Android tablet with a dual core ARM processor and a 10.1-inch screen. But what makes it special is that it will have security and enterprise features that are perhaps similar to that of the ThinkPad line. I think this is definitely the tablet you'd want to bring with you on a corporate meeting. If it's going to look as sturdy and as serious as a ThinkPad, it will be all good.